Well, I've finally finished my latest UCS 10179 and it's looking for a good home. I did this as a project to keep me occupied this winter but I don't really have the space to display it. 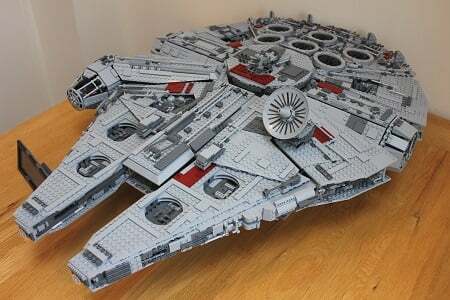 I've advertised it on Ebay (link below) but I'd be happy to sell it to another Bricksetter for £700 including delivery in the UK. There's lots of details and photos in the ad, but please feel free to PM me if you have any questions. I'd be happy to send elsewhere, but it's likely to be very expensive to ship. Looks lovely - how can you bear to part with it?! Hi Lobot, apart from the name plate and instructions, is everything the same as what the actual 10179 would be or are there replacement parts? Read the ebay description, there are quite a lot of substituted parts plus a reproduction dish. Couldn't part with mine - the bricklinking process really helped me get attached to it. For whoever buys this UCS set, it is an amazing build! Hi everyone, all PMs replied to!